Denis Kelleher is Founder and CEO of Wall Street Access, a diversified financial services organization with expertise in money management and trading for institutions and hedge funds. Billions of dollars are processed through Wall Street Access annually and it is a member of the New York Stock Exchange. Kelleher began his career in 1958 as a messenger with Merrill Lynch, where through dynamic financial talent, he rose dramatically through the company ranks until 1969 when he founded Ruane Cunniff and its Sequoia Fund. In 1981 he founded Wall Street Access. 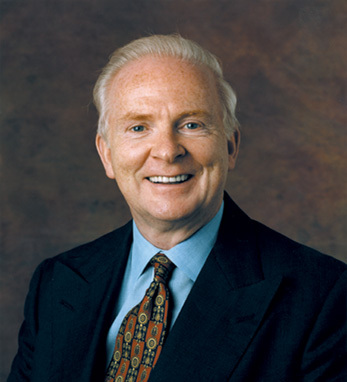 Kelleher, a native of County Kerry, Ireland, is a graduate of St. John’s University, where he served as Chairman of the Board for the last eight years. He is Director of The New Ireland Fund and member of the Staten Island Foundation. He was proud to be recognized with the Ellis Island Medal of Honor in 1995. In 2005, Kelleher was Grand Marshal of the St. Patrick’s Day Parade in New York City. He is married with three children and seven grandchildren.